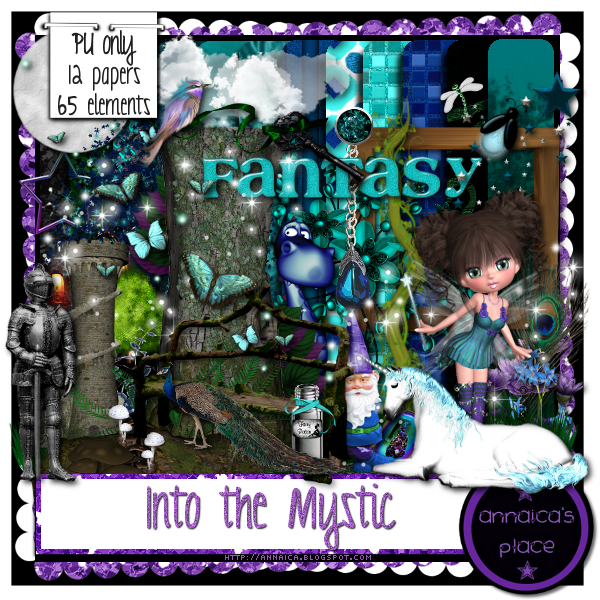 Check out the new PERSONAL USE kit I am adding to stores called Into the Mystic. It is a tagger kit with 12 papers and 65 enchanting elements including a castle, knight, unicorns, dragon, fairies and all the happy woodland creatures to take you on a mystical adventure. I hope you like it! 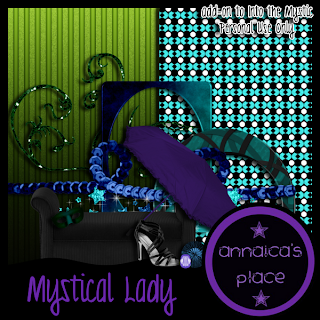 I am also adding a freebie here for you as an add-on to this kit, Mystical Lady. It has 2 papers, 2 frames and 8 elements. The preview is below. 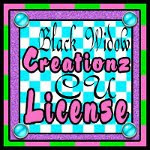 This is also a tagger kit for personal use only. Click the preview to download your copy, or you can click HERE and please leave some love when you download. Do not share, instead direct others here to this blog post to download. Thank you so much for this lovely kit !!!!! !